The peace and tranquility. Absence of commercialisation. Location is beautiful. The hosts are very friendly. As a 57 yrs old Greek who has visited almost all Greek Islands, I can say of the best places to visit. 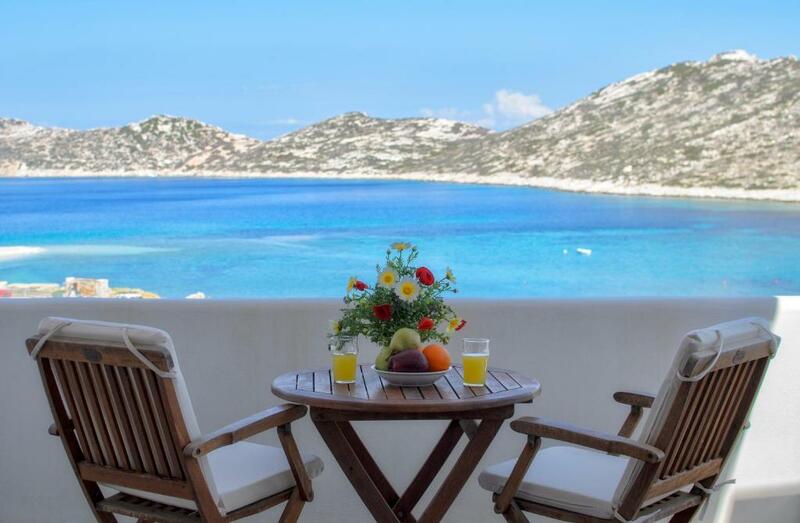 Magnificent view, hospitality, services and more !!! 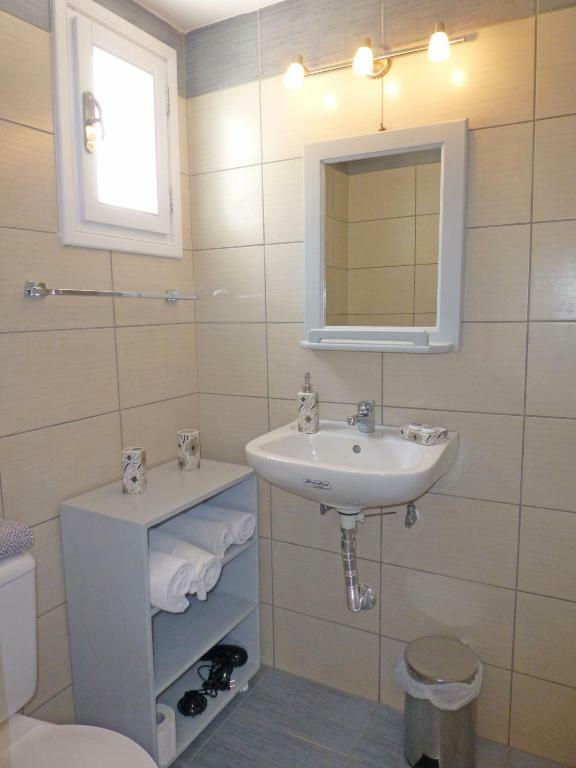 Beautiful apartment, everything we wanted and more! 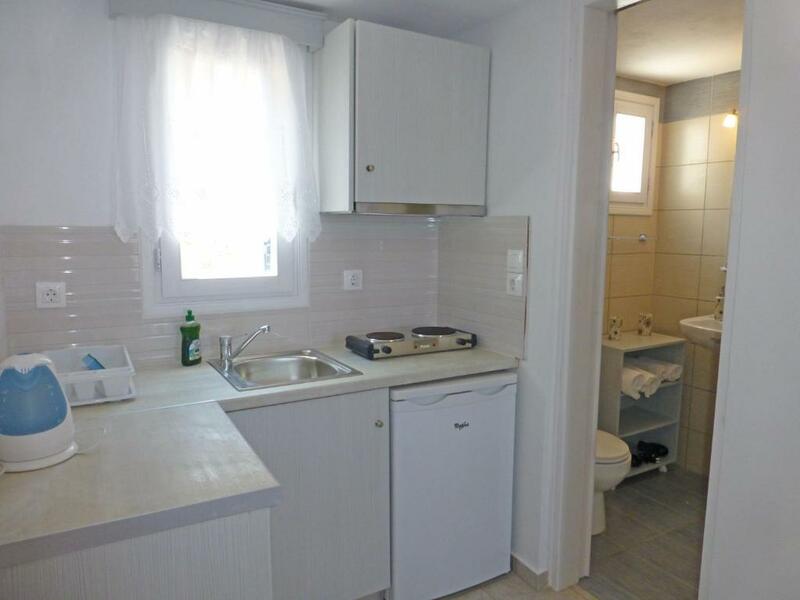 The location is excellent - very quiet, nice sea view. Very clean. Urania, the host is a very nice and helpful person. Many thanks to her! People in Amorgos very good-hearted and helpful. Many thanks to Fm car rent! Large apartment, but very poorly designed (master bed 1 meter from the stove). Lock in a great price for Aspes Village – rated 8.9 by recent guests! 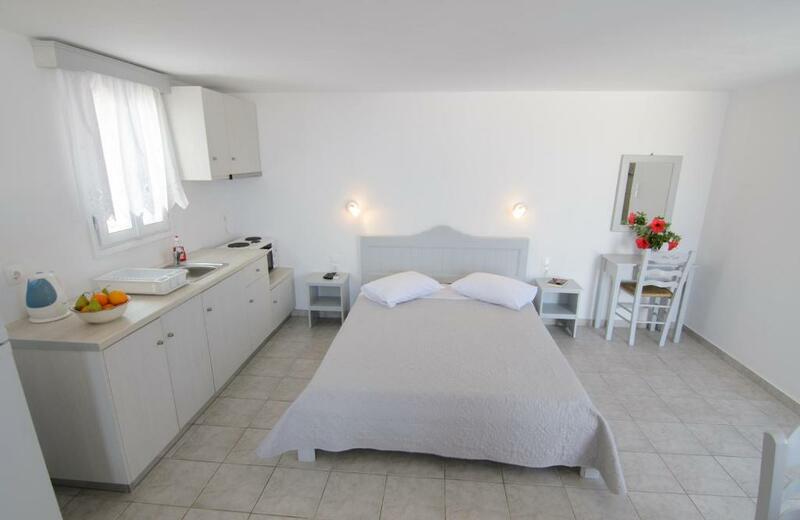 Aspes Village is located on the quiet bay of Agios Pavlos 150 feet away from the beach. 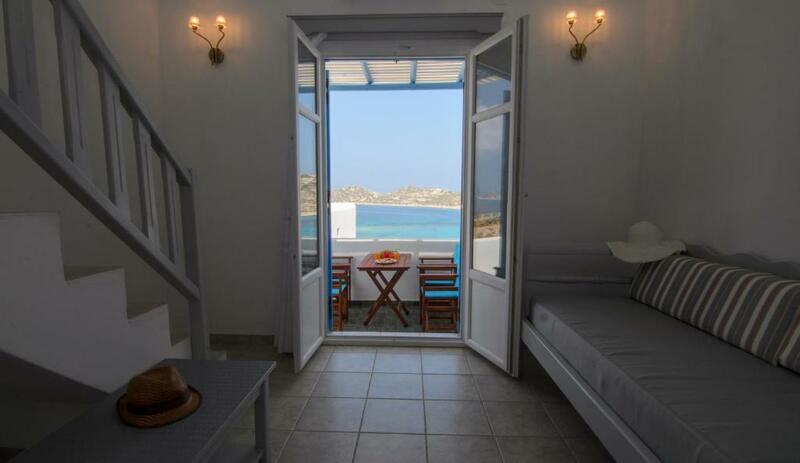 It offers Cycladic-style apartments with kitchenette and a shaded furnished balcony or veranda overlooking the Aegean Sea and Nikouria Island. 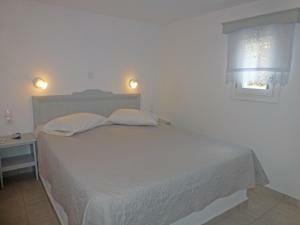 All units include a living area and come with a flat-screen cable TV, air conditioning and private bathroom with shower. Right next to the property, there is a restaurant serving local specialties. At 984 feet, there is a bus stop which connects you to the village and port of Aegiali at 3.1 mi. Chora, the charming main town of Amorgos, is 6.2 mi away. When would you like to stay at Aspes Village? Cycladic-style, 2-level apartment with a furnished balcony offering views of the Aegean Sea. It includes a kitchenette, living area and flat-screen cable TV. 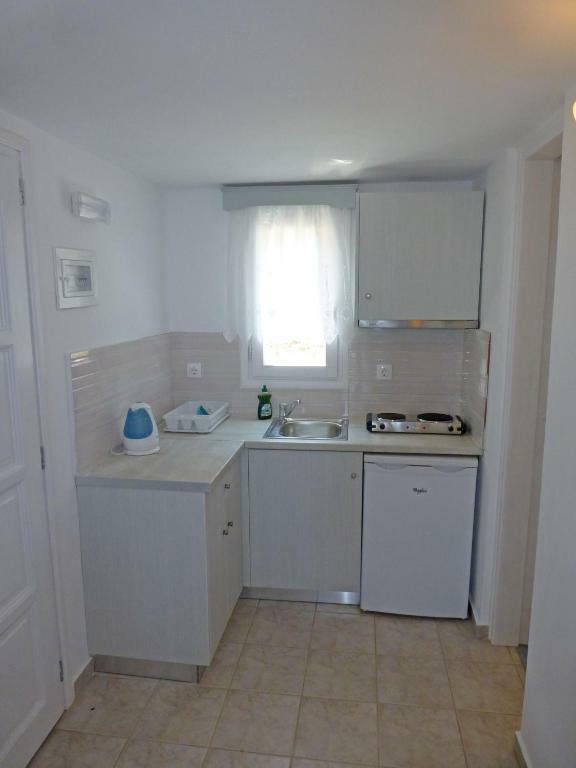 Spacious apartment in 2 floors with a big veranda and sea view. On the first floor, there is a fully equipped kitchen with fridge, freezer, hobs, oven, a bedroom, writing desk, veranda and bathroom. On the second floor there is a second bedroom and a guest toilet. A flat-screen cable TV is also featured. Aspes Village is situated in the beautiful and calm golf of Agios Pavlos just outside Aegiali. You have the beach just in front of the apartments and the bath boats which go over to the island of Nikouria. 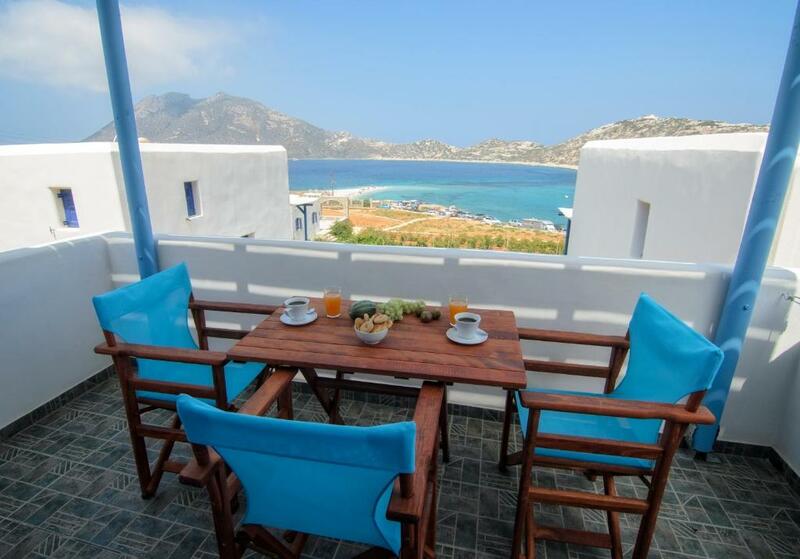 There is one restaurant just next and you easy access the whole island of Amorgos via bus or car from Agios Pavlos. The apartments are very spacious and some have double ceiling height and some are in 2 floors. They have fully equipped kitchenette with fridge, TV, air conditioning, private bath. We are Mixalis and Urania who owns Aspes Village and we are from the village of Tholaria, in Aegiali bay, which is is a genuin Greek village whit narrow alleys and traditional white washed houses. There the most of us still lives from traditional trades and we have our hens and garden with vegetables and flowers. Tholaria is for instance known to have the best fava (lentils) growth in the whole of Greece because of the soil. Agios Pavlos is know for it's good diving waters and you can go diving with Amorgos diving center from here. Amorgos the island of the movie The Big Blue which has inspired a lot of artists all around the world with its pure and dramatic nature, the transparent blue water and the picturesque villages where people still keep alive the old traditions. The breathtaking scenery are full of beautiful walks, flowers and herbs. Here you will find ancient culture, outdoor recreation and hospitality in a relaxing atmosphere. Its worthwhile to visit the famous Monastery of Hozoviotissa near Chora. Also the Archaeological Museum in Chora is worth a visit. The museum contains some interesting pieces excavated on the island including remnants of the Minoan civilisation which existed here more than 4000 years ago. Aegiali the nearast port is just 5 km from our accommodation. Is a charming bay area with a sandy beach and a variety of restaurants, shops and bars. You can for instance visit Theologos an early Byzantine church about 1 ½ hour walk from Langada which is built on the site of an ancient temple in beautiful surroundings or the ancient Vigla in Tholaria. House Rules Aspes Village takes special requests – add in the next step! Aspes Village accepts these cards and reserves the right to temporarily hold an amount prior to arrival. Please inform Aspes Village of your expected arrival time in advance. You can use the Special Requests box when booking, or contact the property directly using the contact details in your confirmation. Steep stairs for the bedroom, inconvenient placement of stairs next to the entrance. It's ridiculous how expensive it was in relation to what it offers. It's not even B & B! Only bed! No breakfast, no Reception, none provision other than cleaning. Kitchen in the main bedroom. Remote area. Tourism is very unrelated to the hosts. I thought it was a hotel. It was "room to let" but the price per day was a five star hotel price!!! !